Over the last few years, every May I’ve been going out and participating in the Baillie Birdathon in support of the Tommy Thompson Park Bird Research Station here in Toronto. 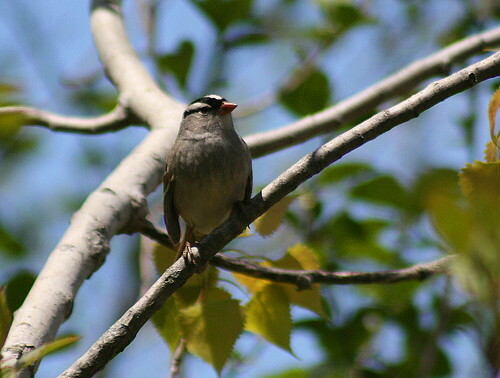 The Baillie is a fundraiser run by Bird Studies Canada in support of bird conservation initiatives in Canada. Participants have the option of directing a portion of their funds raised to a third-party organization of their choice – in my case, TTPBRS. This is the primary source of funds for the programs the station runs, so while I’m not much of a fundraiser at heart, I do try to do my part. The idea behind the Baillie is that you pick a day, any day, sometime in the month of May, and tally all the species you observe in all or a part of a 24-hour period. 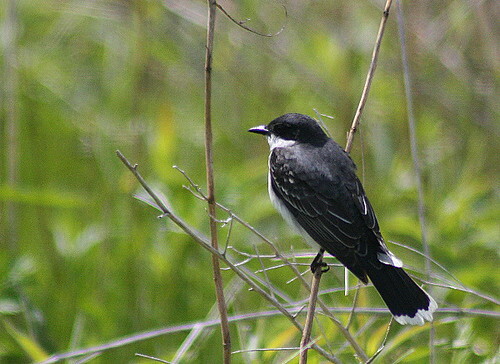 You can be anywhere in the world, technically, but most participants tend to stay close to home, or bird a patch associated with their chosen organization. In my case, this would be Tommy Thompson Park, home base of the research station (the station does have programs outside of the park in other parts of Toronto, but this is the primary site). I chose to do my birdathon on Tuesday. I cheat a bit when picking my day, since I’m not as limited by other constraints such as a weekday work schedule. So I wait till a day when things are just hopping, and that becomes my day. This was true of Tuesday. I’m not sure what prompted everybody to move in to the site that morning, since the weather wasn’t exceptionally favourable or any different from the previous few days, but there they were. 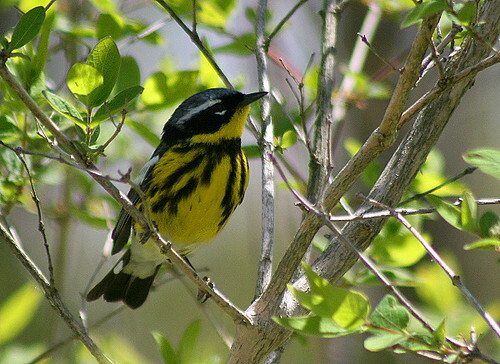 During the morning I tallied 23 species of warblers, including a few that were brand-spankin’ newly arrived overnight, “late” migrants that tend to come through in mid- to late May and June, such as Mourning or Blackpoll Warbler. 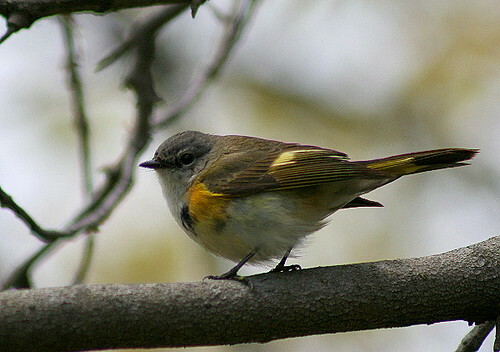 There were also a few straggling “April” migrants, those that come through primarily in April or early May, such as Yellow-rumped or Palm Warbler. The best time for diversity is this mid-spring period, when both ends of the spectrum begin to overlap. Since I’d done so well through the morning, I opted to head out to other areas of the park and see what else I could turn up. On my “hit list” were some rather notable misses that I’d somehow managed not to see during the morning – chickadee, cardinal, Brown Thrasher, all residents at the station. I also had my sights pegged on Scarlet Tanager, a few late-to-leave winter ducks, and some park specialties such as Black-crowned Night-Heron, Great Egret and Canvasback. I did manage to track down all these species with some hunting around. However, I also missed a few that I’d figured would be pretty easy ticks. Savannah Sparrow, all these acres of meadow and where are you? Eastern Meadowlark, have you chosen not to nest here this year? 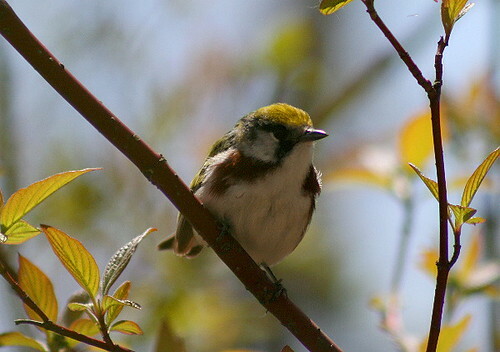 And those several Orchard Orioles that have been hanging around the last week, disappeared. Rock Pigeon, what kind of birdathon doesn’t have a pigeon? I did get to see a couple of interesting things while out. 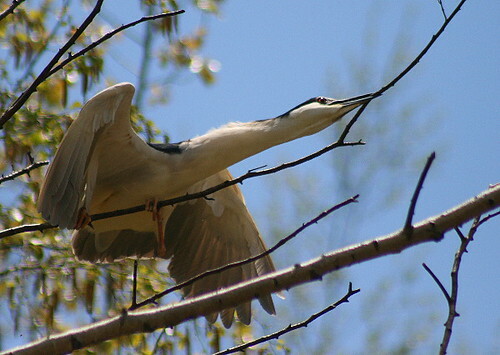 One was the previous Black-crowned Night-heron, dead set on breaking off that branch to take back to the nest. He spent several minutes giving it his best shot, but eventually had to give up and moved off to another tree to try a different one. The second was the above female Red-winged Blackbird which was poking around at the edge of the pond looking for a good soggy old cattail leaf to take back to weave into her nest, while a line of turtles looked on. I wrapped up the day with 82 species, which I felt was respectable given that I spent the first seven hours at the station, largely within the lab, and only birded for an additional three hours beyond that, during the afternoon lull period. Aside from the variety of warblers, the indisputable highlight of the day was a female Summer Tanager that very obligingly made its way through an area where I just fortuitously happened to be checking the mistnets. It had been discovered the day before by the station coordinator, and has hung about for a few days now. It’s the first record of the species for the station, and they aren’t recorded very often in Ontario in general during any given year. The TTPBRS coordinator pieced together a video of many of the species passing through the station currently. I could’ve sworn it included the Summer Tanager, but in re-watching it now I don’t see it, so perhaps he’s left that bit for another video. If you follow this link to the video’s page, you can watch it in HD (for those with HD-capable monitors – mine isn’t). you take the most incredible pictures. 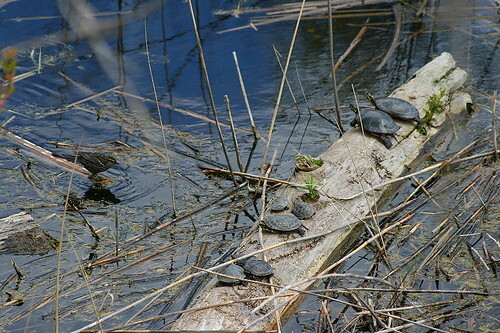 I love that shot of the night heron and the one with all the turtles lined up on the log. My husband has been trying to figure out a trip to Ontario for us this summer for a baseball game and a Blue Rodeo concert and I keep thinking if we go I’m going to contact you and just see if I can follow you around for a little while. Like Beth I have to say your pictures are fabulous, worth a spread in a magazine. 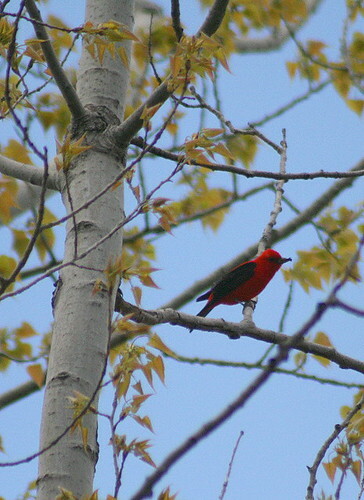 The Night Heron shot is so interesting and the Scarlet Tanager…well I just hope I see one this year. Thanks, both of you. It’s nice to have a forum to share my photos rather than just letting them languish on my hard drive, after going to the effort of patiently stalking the birds. Beth, if you do make it up this way this summer let me know. If I’m available I’d be pleased to meet up with you. wow, those are amazing shots! the birds are so pretty and you’re so good at this whole photography deal!!! Nice day for a Birdathon. Unfortunately, we pick our day a couple of months in advance so the whole team can go together. Sometimes we get rain and cold and a short list. Other years, tons of birds on a gorgeous day. You sure got a nice list! And some fabulous photos. Thanks for sharing! We do that for our “celebrity” birdathoner, too, Winterwoman, and inevitably it’s a somewhat off-day for birds. This year was very slow, and while I got 80+ on my birdathon day, I think they struggled to even reach 50. On the other hand, when you need to plan for a group of people, you don’t have a lot of choice. Thanks for the compliments!